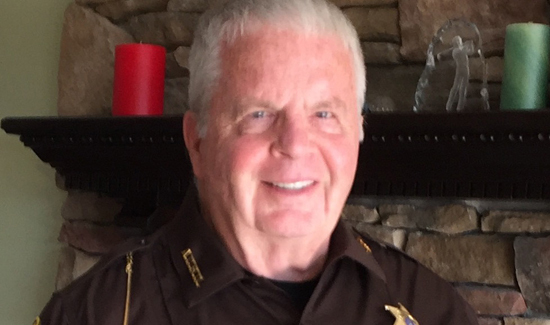 I have spent a good many years as a volunteer in the law enforcement community – 22 years in a large agency just west of Cook County (Chicago) and 14 years as a Reserve Deputy Sheriff in a much smaller county in Northern Michigan. It is, for me, an avocation and one that I am quite proud of. Because I bring a somewhat different perspective, I feel compelled to comment on the tragic events of the last several months. I have never met a bad police officer. Yes, I am sure that there are some. What I have met in these many years are a lot of very good men and women who take their oath of office quite seriously. They, to the person, entered the career “wanting to help people.” They are the sheep dogs that protect the flock from predators. They are the men and women who leave their homes every day not knowing if this will be the day that they do not return to their loved ones. They are the men and women who frequently experience the death, injury and incapacitation at the hands of those who violate the very basic principles of civilized society. They are the men and women who go toward the carnage when others turn away. They are the protectors of our civilized society. What they see and do on a daily basis is often beyond what the rest of us can imagine, yet each day or night they return to their job on our behalf. Do I agree with everything and every tactic employed? No, I do not. Are officers equally well trained and psychologically prepared for the tasks at hand? No, they are not. Do government agencies commit the necessary resources to provide for well prepared and well maintained law enforcement officers and agencies? No, they do not, and often it’s quite the opposite. There is the problem that some people do not respect police officers. The media often does not respect the need for a complete, thorough and honest investigation of controversial incidents. And those who hold and seek public office too often speak out before the investigation is complete and the facts are known. These are just a few of the things that are causing the rift between our communities and the law enforcement people who serve and protect them. While solutions to these problems are complicated, one thing that must happen is that respect for law enforcement must be restored. Politicians and the media need to be less inclined to exploit an event and those who have the right to protest need to fully understand the true facts of a situation before they act. And most importantly, the law enforcement profession must take every effort to train and prepare officers for complex situations requiring an instant response. It’s time to end the divisiveness and accept the many benefits of a more pluralistic society. But it is also important for everyone to accept personal responsibility for themselves and their children. Law enforcement cannot do what parents fail to do. Jim Hatcher has spent over 30 years volunteering as a reserve officer for several agencies. We hear “You have to earn trust” but how is that possible when the “public” has been poisoned by groups such as BLM, Rev.Com and other anarchists? While we desperately require respect to do our jobs, we won’t be seeing any of that until the sentiment in D.C. changes, drastically. Our President encouraged urban youth to “Rise up, speak truth to power” every time a black youth was killed by law enforcement during his term. He sent his Civil Rights attorneys to various towns to look for “race issues” and then DOJ wants to impose unreasonable demands on agencies where there has been no discrimination. Out of the box in mid-2009, POTUS said publically that a Camden, PD officer “acted stupidly” in arresting Obama’s buddy. That set the course for urban youth who lost running mates. We can’t win respect from this crowd, ever. They’re too polluted with Liberal lies and, if they stopped protesting police shootings, I don’t think they’d have anything else to do. Maybe they’d go away? Jim Hatcher made several valid points, the most of which is that people should be held accountable. This will not happen unless generations of sperm and egg donors change their ways. We as a society must stop the hand outs. As long as an adult male can sleep with a woman who has two, three, four children from different fathers; as long as this male eats the children’s food, disrespects their mother and bad-mouths the cops; as long as this male neglects a parental roll and does drugs and commits crimes…Those of you reading this know far too well what I’m talking about. This has become a societal norm. Do we need to blame just Obama? No, but he has done nothing but make the problem worse. Yes Mr. Hatcher, there are bad cops. I have seen this first hand. It is very disappointing. The black eye it leaves on the rest of us takes a long time to fade. We will always have racial problems as long as a minority refuses to hold themselves accountable, which I’m certain will occur when pigs fly.